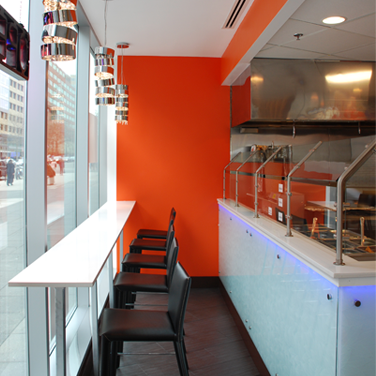 Grill Kabob offers traditional Afghan food with a unique twist. We have a delicious variety of made-to-order kabobs and other authentic specialties. Our kabobs are marinated and grilled to perfection. We have generous portions, reasonable prices, and our fresh-from-the-tandoor naan bread is the best. We are family owned and operated. The origins of Grill Kabob go back many years, to when the three of us were forced to flee our native Afghanistan during the Soviet-Afghan war in 1980. 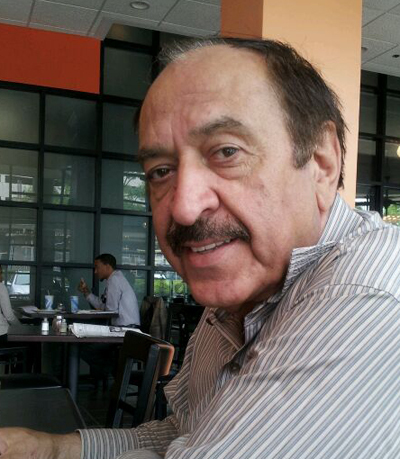 After immigrating to United States, we were joined by our cousin Mahmoud Mahdjoub, who had been a journalist in Afghanistan. It was here in the United States that Mahmoud found a passion for cooking. Eventually we decided to start a kabob restaurant, using the authentic Afghan recipes developed by our cousin. Our first location was 300-square-foot site in the food court in Springfield Mall. Business picked up quickly due to excellent word of mouth. It was very hard to keep up with the demand with such limited space, so we opened up a second location in the main food court. Beginning in busy food courts in local malls, we quickly grew to 14 locations. Eventually we expanded to include stand-alone restaurants. Today, Grill Kabob is one of the largest kabob chains in the United States. I LOVE Grill Kabob. Their chicken kabob with rice, naan, and that delicious sauce is the stuff dreams are made of. I get an insane craving for that sauce at least once a week. The service is fast and friendly. I love their chicken that comes with salad. I was so full and satisfied after eating here. I recommend this place for people who want to try a different dining experience. Just thinking about this place makes me want to leave work immediately and go get some. It’s authentic food, and they also have the best and freshest bread out of any other kabob establishment I’ve visited. The kabobs are the best I’ve ever had. Typically I get the chicken kabob, but have experimented with the lamb and beef and kabobs as well. I have never been disappointed. The meat is well seasoned and very tender, and I absolutely LOVE their fresh-made bread. Great kabob, awesome bread. I love the Tandoori sauce. I usually get the lamb and chicken combo. The portions are huge. The rice and the yogurt sauce are awesome. Superb food and reasonable prices. The kabobs are always great, with the order of goodness being chicken-lamb-beef. The chicken is always remarkably tender and flavorful, while the lamb and the beef vacillate between great and good. These are the best kabobs PERIOD! The food is delicious, the portions are large, and the price is reasonable. I absolutely love the beef and lamb. The bread is warm, large and delicious. The gyro sandwich here is absolutely huge and delicious! Their green sauce is spicy and full of flavor. I have been eating here for five years. I love the chicken kabob and get regular cravings for it. Something about the flavors and the combination of them seriously makes me believe I will die without them.